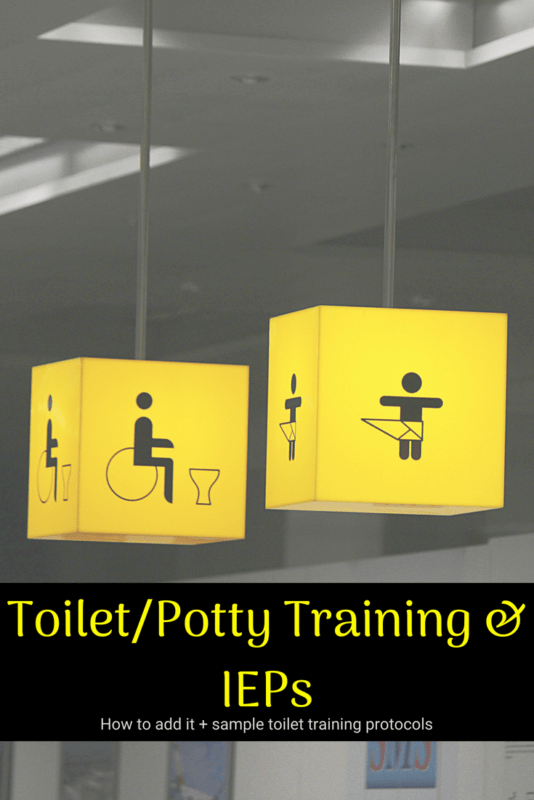 Toileting/Potty Training and your IEP: How to add it + sample protocols. Home » IEP Advice for Parents » Toileting/Potty Training and your IEP: How to add it + sample protocols. Can I get potty training or toileting added to my IEP? However, making that happen is often a different story. 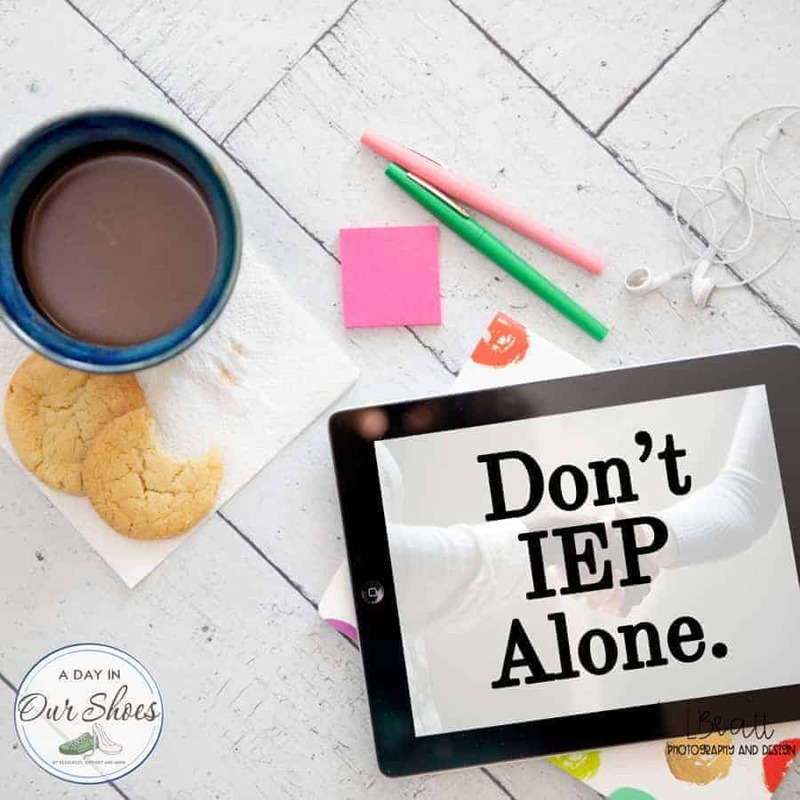 Read further for tips on getting toileting or potty training added to your IEP. Then at the bottom, I have included a sample toilet training schedule or protocol. It’s downloadable so you can print it and adapt it to your disabled child’s needs. I am wildly passionate about kids being toilet trained if it is at all a possibility. It is one of the ways we can help our kids maintain dignity. Nothing makes you the target of bullying faster than a bathroom accident. The child was excluded from a placement because they are not toilet trained. This is related but also common to the problem of having an older child who is not yet toilet trained. Many schools and preschools have rules such as “Must be toilet trained to attend.” Can they do that? Well, it depends. Each situation is different. Private schools and private preschools are generally not bound to IDEA, so they can establish these rules. Public schools that are bound to IDEA cannot. If it is a placement that was decided upon by the IEP team, then no, they cannot. Think of it this way: Essentially the child is not toilet trained (at a later age than usual) due to their disability. Thus, excluding them from that school would be excluding them based upon their disability. But, some schools are allowed to do this, such as privates and charters. If the (public school’s) reason is merely that they are not staffed to do it, that is not a valid reason. I understand that many union contracts prohibit teachers from entering restrooms with students, or assisting them with toileting. However, then the child needs a PCA or 1:1 to assist them with this. If the child otherwise belongs in gen ed for most of their day in order to obtain LRE, the school cannot choose a more restrictive placement based on one issue (toileting). It can get complicated, so feel free to join our Facebook group if you have specific questions. I was told that’s not an IEP item. How to add Toileting or Potty Training to your IEP. Write a letter to your child’s IEP team. Describe the problem. Include the consequences and repercussions of what is happening as a result of your child not being toilet trained. Ask the team to meet. State that you wish to discuss toilet training goals and protocols. Include success stories! What has worked at home? Are there signs of readiness that you see in your child? Be solution-oriented in your request. All along the way, document, document, document. After the meeting, write a short note that summarizes what the team agreed to do. Add in that you expect to see this information on a PWN and proceed accordingly. Just a few things to keep in mind as you proceed. Use age-appropriate language. “Potty” is not something for 10-year-olds. Be consistent. Make sure protocol is being followed at home and at school. Use literal language if your child needs it. There are a zillion euphemisms for all things toileting, right? Don’t use them if it will further confuse your child. Think outside the box. Maybe your child needs a photograph of your actual bathroom, not a PECS diagram. Maybe they need a 3D object such as a pull-up. Don’t get discouraged. Our kids take a long time to learn things. If you get frustrated, take a break and revisit it in a few months. Be aware of signs of readiness. Some kids just aren’t going to be toilet trained for a really long time. I have a friend whose son was finally trained at age 20. But it happened, and that’s what matters. Don’t overthink it. I often think that a lot of an IEP team’s trepidation about doing something like this is that they think it’s going to be a ton of work. It doesn’t have to be. This particular protocol was intense because that is what the child needed. But you can also just use natural breaks in the day like snack times, lunch and moving to different areas. « 3 Rules for Effective Communication with your IEP Team.